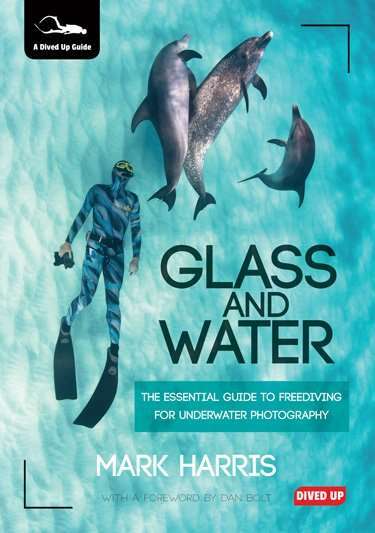 Glass and Water is the first book on underwater photography for freedivers. With contributions from expert underwater photographers this book teaches the skills, knowledge and equipment necessary to successfully pursue underwater photography without scuba gear. Rather than seeking to replace books on underwater photography, Glass and Water focuses on freediving techniques, equipment and photo opportunities. By carefully choosing or adapting freediving and photographic equipment some early hurdles can be avoided. Using appropriate freediving techniques can increase the length of time available for taking photographs underwater. And by being aware of the possibilities, frustrations can be avoided and good subjects sought out. Includes photos and/or contributions from Fred Buyle, Sue Flood, Danny Kessler, Dr Anne-Marie Kitchen-Wheeler, Laura Storm, Andrew Sutton, Shane Wasik, and a Foreword by Dan Bolt. Contents include: Foreword by Dan Bolt; Free­diving Equipment for Underwater Photo­graphy; Photographic Equipment; Underwater Photography Basics; Challenges and Opportunities for Freedivers; Lungcraft; Finning; Descents and Ascents; Neutral Buoyancy; Hydrodynamics; Safety; Creature by Creature; A Virtual Dive; Behind the Lens. Plus a Glossary of key terms. Click this link to view our free online preview of Glass and Water. Mark Harris is a former UK champion ­freediver, record-holder and instructor who has also coached and judged at freediving competitions. He has consulted on and taught students how to freedive for roles in both television and film. He ran London’s main club, London Freediving for almost a decade. He is a member of the British Society of Underwater Photographers. Foreword writer Dan Bolt is a multi-award winning underwater photographer, a regular contributor to diving magazines and co-author of Nudibranchs of South West England (2014, with Terry Griffiths and Bernard Picton).